King Constructions is a full service Adelaide Building Company which means we have the expertise and resources to undertake ALL types of building projects including bathroom design and renovations. Adelaide bathroom renovations has become an added focus with the formation of Bathrooms in the Making 10 years ago, a division of King Constructions specializing in bathroom renovations.Well established company with financial stability. Fully licensed and insured company and contractors; fully compliant with current legislative requirements. A very high standard of craftsmanship and experience. Regular contact and communication with the business owners. Courtesy, honesty and professionalism. Site cleanup each day and security a priority. Members of the HIA. Add-A-Bathroom is the bathroom products marketing division of Fibre Composites International Pty Ltd. The company started making modular bathrooms and shower cubicles fourteen years ago and has supplied these units into the Australian market across the domestic and commercial sectors ever since. Over many years the company has undertaken an extensive development program and has developed their modular bathroom system to incorporate flat packed assembly techniques and has introduced the new Tiled Look finish, taking the product to a new level of feel and finish. Over the past few years the company has also exported both the modular bathrooms and showers into a number of countries throughout the pacific islands. It has recently started to export the modular bathrooms to New Zealand. The manufacturing division has its primary factory based in a 3000 square metre facility in Adelaide, Australia and also has been producing the flat packed modular bathrooms and shower cubicles in our new factory based in Batam, Indonesia. This has enabled the company to offer better price structures to its many clients. 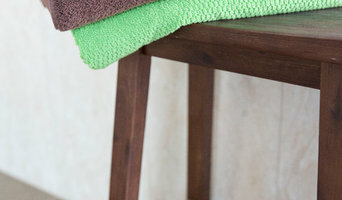 Add-A-Bathroom is committed to customer service, high quality manufacturing techniques and ongoing product development. Innov8 Bathrooms will make your bathroom or kitchen upgrade of great value to your home and a pleasant and professional experience. Design & Concept Services Provided Kitchens & Laundries as Required Bathroom Renovations or Additional Bathrooms as Required Custom Designs & Fittouts - Flexible and Adaptable to Your Requirements Wide Range of Suppliers Available to suit your Style, Taste and Budget As we know older homes did not always receive the planning, design and options available today. Wall Hung Units, Heated Towel Rails, Mirror Lights, Custom Niches, Frameless Shower Screens, Free Standing Baths, Underfloor Heating are now all available to upgrade your bathroom. We are all aware Bathrooms and Kitchens although they are service areas, actually 'Make the Home' when beautifully styled. Through good design, innovation, planning, new textures, features, and lighting you will achieve a great upgrade to your existing bathroom or kitchen. Or allow us to create a new feature rich bathroom or kitchen to improve your home. With over 20 years experience in construction Innov8 Bathrooms will complete your project on average within a 2 week time frame and ensure we cause only the minimum inconvenience to your household while still maintaining the highest standards in quality and customer service. Kewco is a South Australian family owned and operated company, established in 1954. Located at 270 Brighton Road, Somerton Park – Adelaide. Kewco manufacture a large range of quality custom made Shower Alcoves, Security Doors, Security Windows, Glass Splashbacks, Mirrors, and Cabinets. Shower in style with a Shower Alcoves that has been manufactured on site from toughened glass, brass/stainless steel constructed hinges or aluminum frame. The range of timeless styles includes Frameless, Semi-Frameless, Pivot, and Sliding. Want to protect what is most important to you? Kewco supply and install custom made Security Doors and Windows. The range of styles include Stainless steel mesh allowing clear, uninterrupted views, classic and colonial cast aluminium or steel wrought iron styles and all can be supplied with a triple or single lock and are manufactured on site to the highest quality. Never clean grout again with custom made toughened Glass Splashbacks, they are low maintenance, heat resistant and come with an endless choice of colours including metallic. The extensive showroom will provide any home renovator or builder with all that is needed for the bathroom, kitchen, and laundry. Or why not shop online anytime at your convenience. Select from a large range of Bathrooms Products Adelaide like Vanity Units, Taps, Toilets, Basins, Baths, Bathroom Accessories, Mirrors, Cabinets, Laundry Troughs and even the Kitchen Sink. Be inspired by the bathrooms that are on display in the showroom. Looking for a contemporary, modern, classic or a heritage style, planning your bathroom has never been easier with expert help from the sales team at Kewco. With over 60 years experience in the industry customer service is their number one priority and the attention to detail are second to none, your bathroom dreams will soon become a reality. Once you have made your selections and your order has arrived, you will be contacted by our team to arrange collection, or they would be more than happy to arrange delivery. Trevor Routley’s parents, David and Margaret Routley, established the Routleys business in 1953 at Kensington, initially focusing on the sale of building products to trade customers. The company soon expanded and relocated to Mile End, from where we operated for nearly 30 years. In the 1990s we relocated again, this time to Unley Road Malvern. Routleys had previously been supplying a large range of products to builders and plumbers, but with the relocation we concentrated on the Plumbing fixture and Kitchen Whitegoods areas of the business. Routleys Bathroom Kitchen Laundry now employ over 40 staff and we concentrate on providing the best possible products, and advice given from experienced and qualified Interior Designers and Consultants. Many of South Australia’s leading Builders and Interior Designers utilise the selection services offered by Routleys. Proven Tiling Solutions take pride in our personal service that we offer to our customers. our dedicated and experienced team provide the highest quality of workmanship. we specialise in all aspects of wall and floor tiling. we pride ourselves in quality workmanship and our reputation is your guarantee. 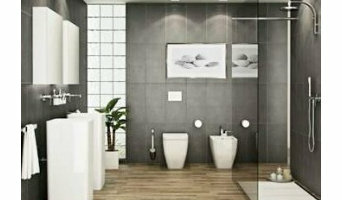 All Area Bathrooms is a leading company run by bathroom renovation experts in Adelaide. Our aim is to provide the lowest bathroom renovation cost in Adelaide, South Australia by giving clients an opportunity to purchase products from the business they choose. Our business products are up to date with the latest design and developments along with sound advice and professional service when required. If you want to complete your renovations with experts in the industry get in touch with us today. For more information or to enquire about a free quote please call 0414 487 067 or visit us at - <a rel="nofollow" target="_blank" href="http://www.allarea-bathrooms.com.au/">http://www.allarea-bathrooms.com.au/</a> We are a company that is enthusiastic, reliable and flexible to our customers’ needs. Some people have a very focused idea of what they want, while others start with a broader picture and narrow it down. Our advantage over other expensive and limited choice bathroom companies is that we do not have their high overheads. We have no showroom, we do not pay commissions to sales reps and we do not push you to buy your tiles or any of the additional accessories from us. It is your choice where you buy your tiles and accessories. You then know the quality and price of the products required to make your bathroom beautiful and adjust it to suit your budget. 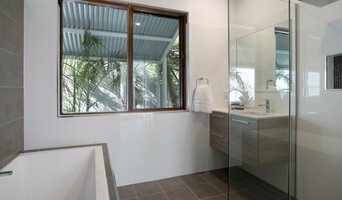 At Bathroom Renovation Adelaide, our speciality is providing customised solutions for bathroom renovations. We are a one-stop renovation company with our office and showroom all located under one roof. We have built a solid reputation for making the renovation experience easy, affordable and stress-free for our clients. We pride ourselves on exceeding their expectations. Our team of designers and tradespeople are qualified, trustworthy and professionally trained, with a strong commitment to customer service and satisfaction. Specialising in new energy efficient homes, Kitchens and Bathrooms, General Carpentry.